Depending on the length and quality of videos, they can take up a huge amount of valuable space on your iPhone. If you capture or receive lots of videos, you don't have to constantly go back and delete videos to make space on your iPhone - this guide will show you, step-by-step, how to transfer videos from iPhone to computer. Select the videos that you wish to transfer. 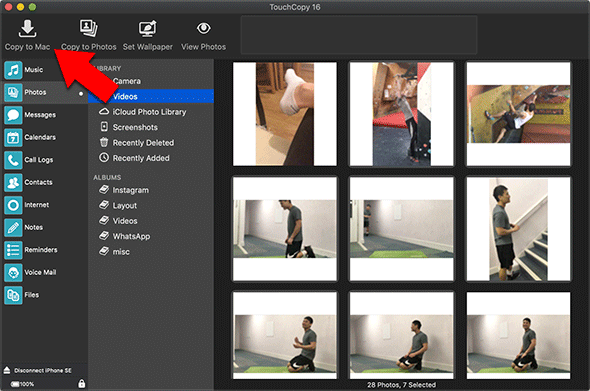 With TouchCopy, you can transfer Music, Photos, Messages, Contacts and more from your iPhone to your computer. 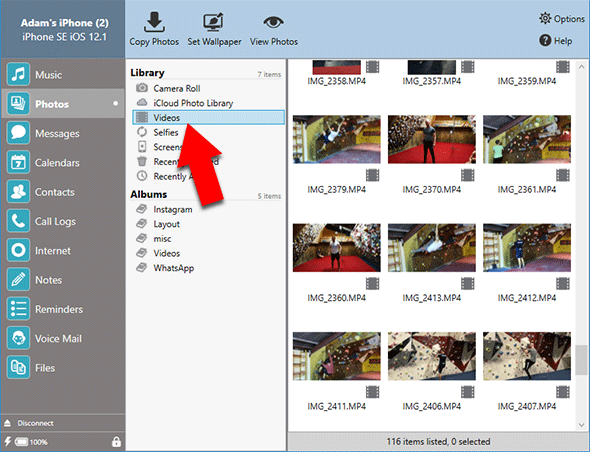 In this guide, we are using the software to transfer videos from iPhone to computer. 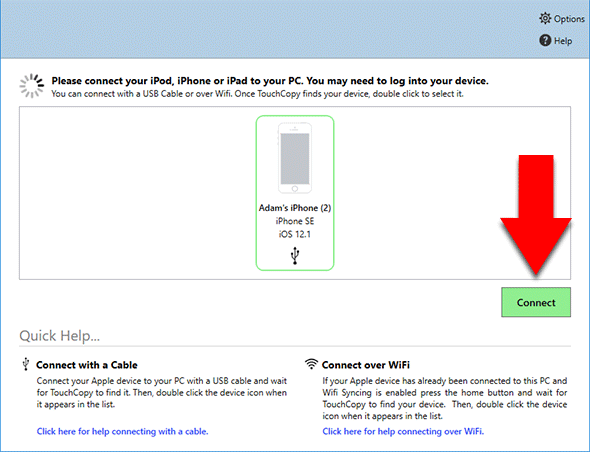 So first thing is first, download TouchCopy onto your Windows PC or Mac. Next, launch TouchCopy and connect your iPhone to your computer with a USB cable when prompted. Now that TouchCopy has loaded your iPhone data, you can explore the different sections. Click the "Photos" header, then the "Videos" subsection to see a list of the videos stored on your iPhone. Finally, select the videos you'd like to transfer to your computer and hit "Copy Photos"! 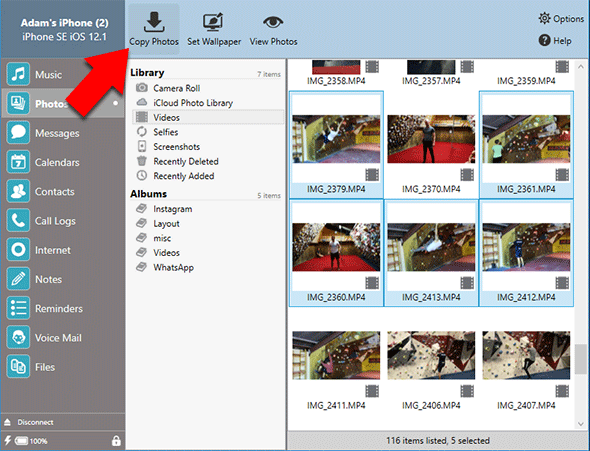 Now that you have your videos copied to your PC or Mac, you may now want to transfer video from PC to iPhone. To do this, we can use iTunes. Once the videos have been added to iTunes, connect your iPhone. Tick "Sync Films" to unlock the settings. Select which videos to transfer, then hit "Apply". How can I Save iPhone calendars, contacts and notes on my computer?